Along with growing lots of trees on its 815,000 acres of forests in Maine, the Pingree family is busy growing jobs as well. At a time when the nation as a whole is searching for jobs and for long-term economic certainty, a seventh-generation family-owned forestry business established in 1841 is delivering certainty on both forest stewardship and jobs. One key ingredient in this Maine success story, says Seven Islands Land Company President John McNulty, is that in 2001 the family agreed to put 762,192 acres of its Maine forestland into a conservation easement. This perpetual easement guarantees that the land can never be developed and will instead remain as tax-paying, job-generating forests. 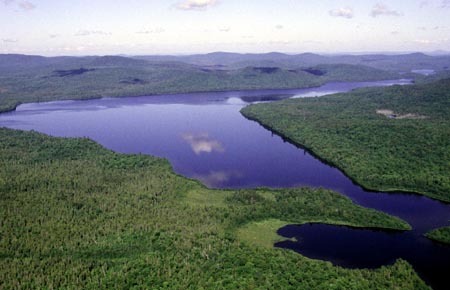 One result of all those tours, educating funders about how a forest works, and driving home the Pingree family mantra that “A managed forest is a healthy forest,” is that some 45 different foundations and individuals paid Seven Islands $28 million to eliminate development permanently for the easement’s 762,192 acres. That’s less than $37 per acre to protect the land forever from things like housing developments, golf courses, marinas or parking lots. No wonder that the Pingree forest ethic is catching. McNulty explains that the Pingree conservation easement inspired others to follow suit, with forest owners across the country asking for advice and new easements springing up coast to coast. In another sign of success, along with managing the family’s 815,000 acres of its own forests, Seven Island Land Company set up Orion Timberlands in 2005 to manage 400,000 acres of forests for other owners. 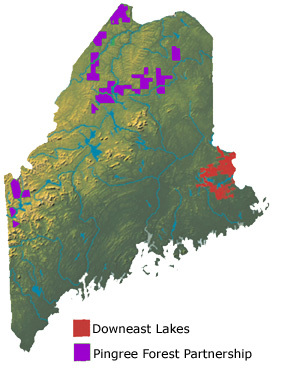 These managed forests include 57,000 acres in Downeast Maine operated under a Forest Legacy Easement. My next blog, For a Maine Family Business – The Jobs Come Next, includes more information on how the Pingree family has turned its forests into job-generating machines. For more information on conservation easements and their tax implications, read my August 21 Deductions on Conservation Easements and August 23 How Estate Taxes and Conservation Easements are Linked blogs. The two blogs quote tax attorney Steve Small, the expert who wrote the original conservation easements federal tax regulations thirty years ago. Thank you Amos -- A great story which shows that some forward thinking folks are seeing how we can sustain our forests and our economic quality of life for our society! Yes forestry is one of the few land uses which allow us humans to have it all - over and over again! Our 21st century must find a new or renewed conservation land ethic which includes us humans in the equation. As a forester, I am really tired of being painted as a demon who only wants to exploit our forests! !